The walk this sept/oct was a continuation of the Camino Mozarábe from Granada to Merida. We then continued north on the Via de la Plata. 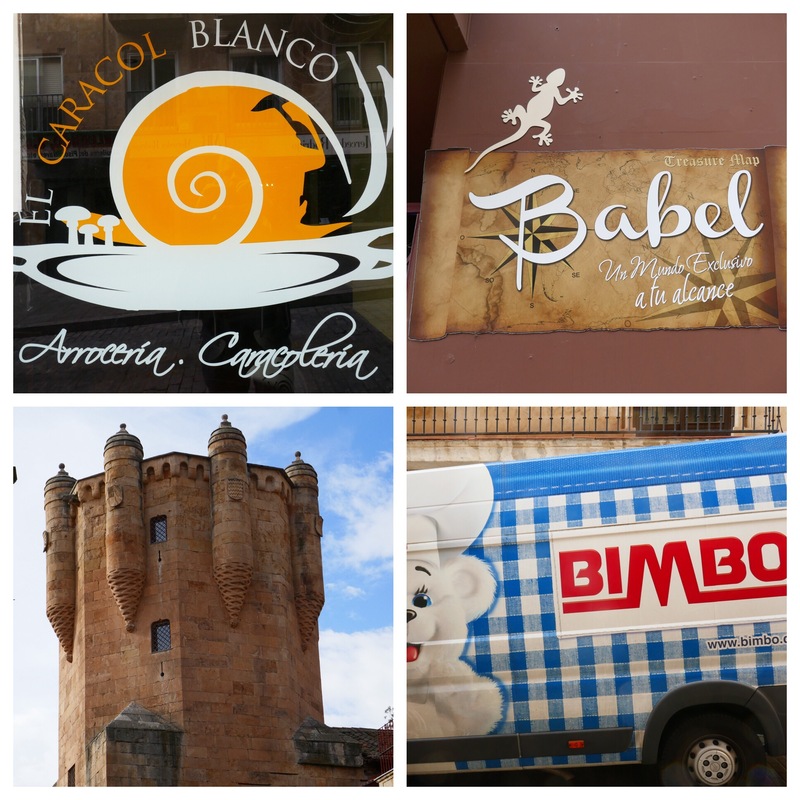 I stopped at Salamanca, not having enough time to walk to Santiago again. (I walked the first part of the Mozarabe from Almeria to Granada in October 2016, and the other option earlier, from Malaga to Cabra). This year Benedo and I walked from Granada, met Manolo in Córdoba and, a day later, after Cerro Muriano, met Victoria on a very dark stretch of road in the wee hours. Benedo and Manola left us just before Merida to go back home. Victoria and I continued together until Salamanca. I left there for Madrid and she kept walking, headed to Santiago and later Finisterre. After over a month of close togetherness with others it’s strange being alone again. It’s odd but I almost have voices ringing in my head. Travelling closely with someone else for weeks on end obviously ‘creates and fills a space’. Sometimes that space is filled with conversation, sometimes it’s almost physical, just being aware they are there or have just left. After two days in Salamanca I go to Madrid. I’m trying to arrange spanish classes there. If I can’t I guess I’m going to spend a lot of time in bars and watching spanish tv. Even if only to justify my new book of spanish verbs, hardly riveting but each new verb I learn plugs a gap. And it should reduce some of my mangling the language. Not easy to recall some of the new words during a conversation and I’m resigned to limited improvement unless I can figure out how I can live in the Hispanic world for a while. Irrespective, I’ll definitely continue as a regular visitor. V left at about 07:30 and, as we’d traversed the complicated way out a few times, she should be well along the camino by now. Her maps aren’t really good. Neither were mine the first time and she has a considerable advantage in being spanish. She’ll manage. I’m guessing it won’t be easy for her at first, being alone again. 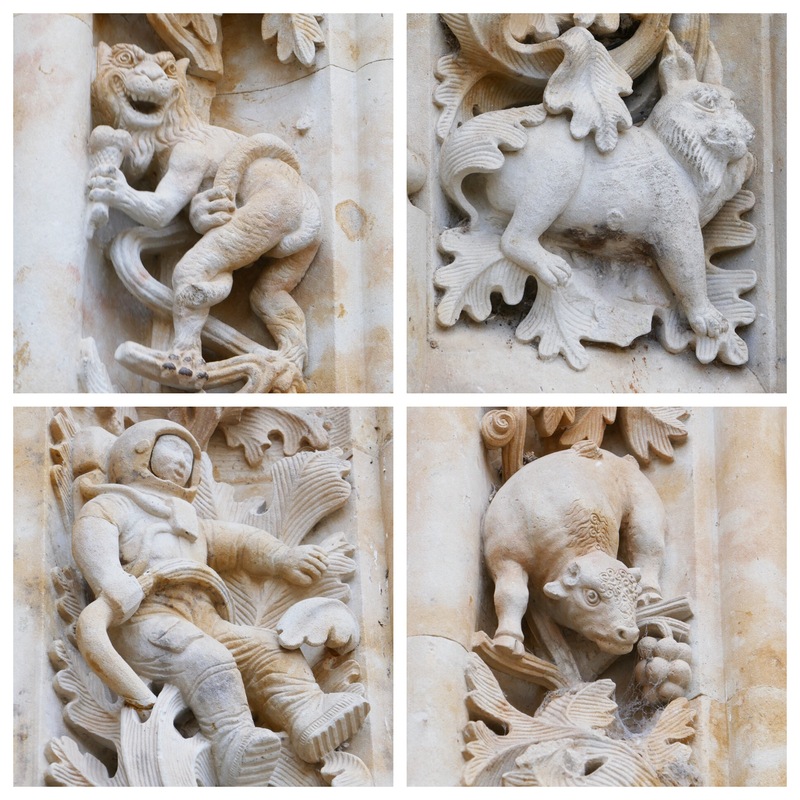 I like Salamanca and always like to check on some of my favourite carvings on the ‘new’ Catedral. Another lazy day with the hardest choices relating to which bar and what to drink. Yes. Tough. Good walking around the town. Have to say naming a restaurant after white snails was clearly not a success as it’s for sale or to rent. And then there are the Bimbo trucks. No idea what they offer. 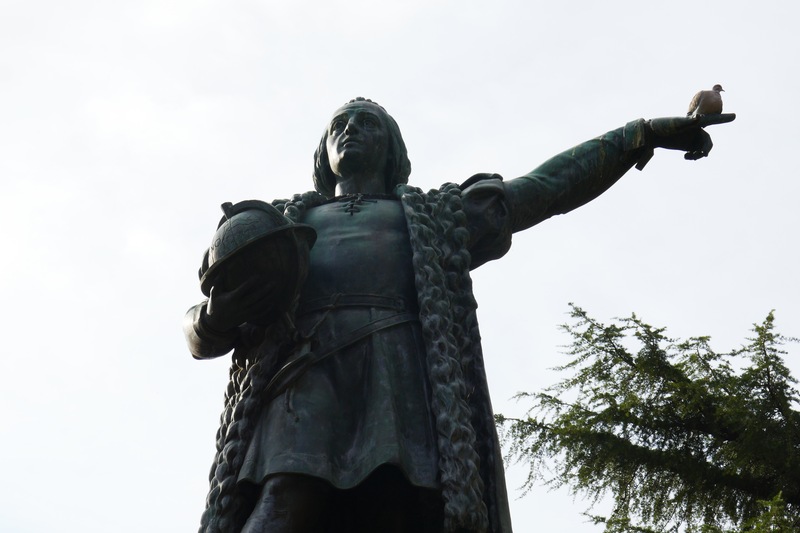 By contrast, it’s clear that Christopher Columbus offered at least one pigeon something yesterday. 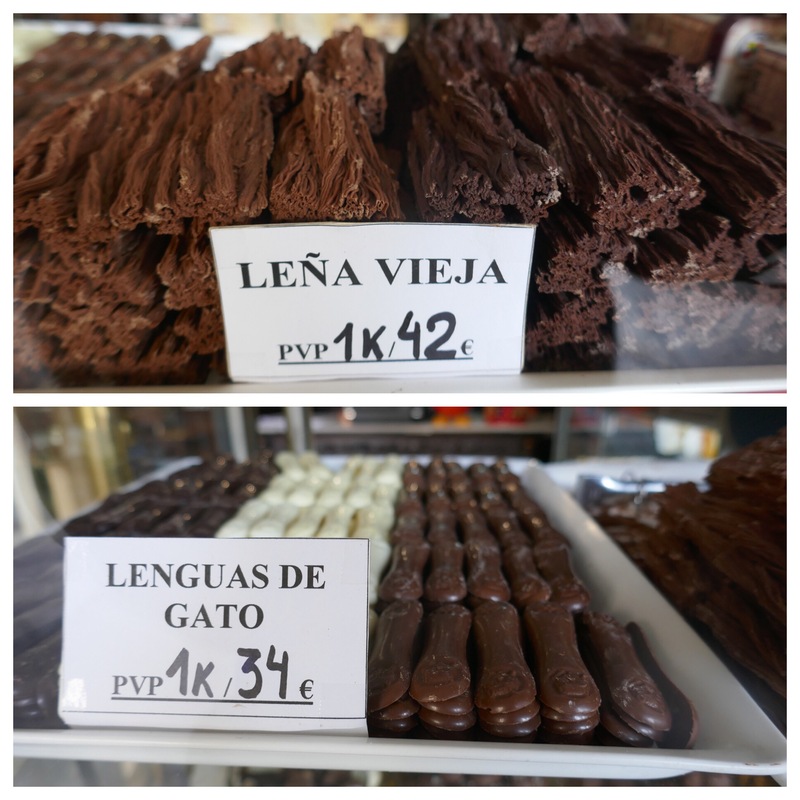 And the shops in the Plaza Mayor sell great looking cakes as well as cats’ tongues (chocolates) and other interesting looking options. I still don’t understand how it was that I found so many english speakers on my first camino, the Via de la Plata from Sevilla to Santiago, and this time, except for the 2 Americans on my first day, none. Not one. Even in the streets here in Salamanca I’ve heard very few snippets in english. Time of year? Or what? Having heard from V it’s clear her boots are better with the inserts and her new clothes are warmer. It’s great to hear well she’s going. Hard to talk to her though as her phone company coverage is truly dreadful. WhatsApp ends up offering a better way of chatting. For me: Madrid, by train, tomorrow.